Advanced remote administration tool for centralized oversight and control of all ESET security solutions deployed in the network. 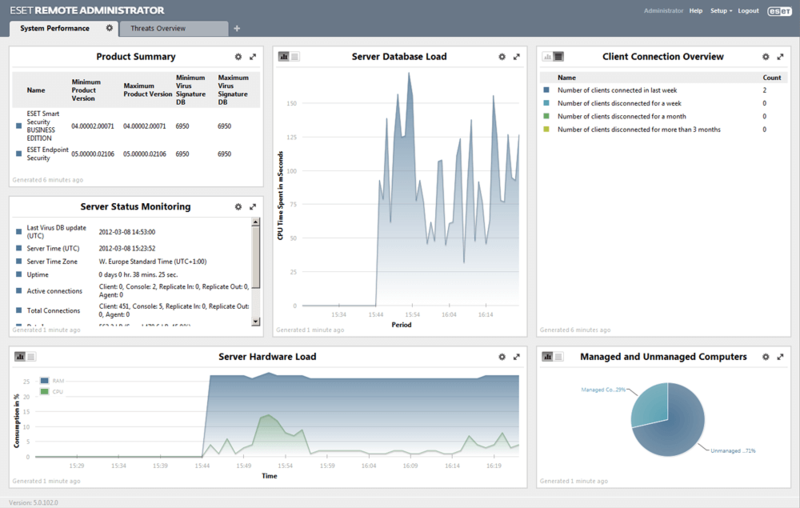 Centrally manage security on all endpoints, servers and mobile devices. Assigns different privileges to different ESET Remote Administrator users. Speed up day-to-day tasks by executing native operating system commands – ping, wake-on-LAN, shutdown or restart – remotely on endpoints. Enables you to access the server component using a series of structured commands, and present the data using tools you are familiar with. 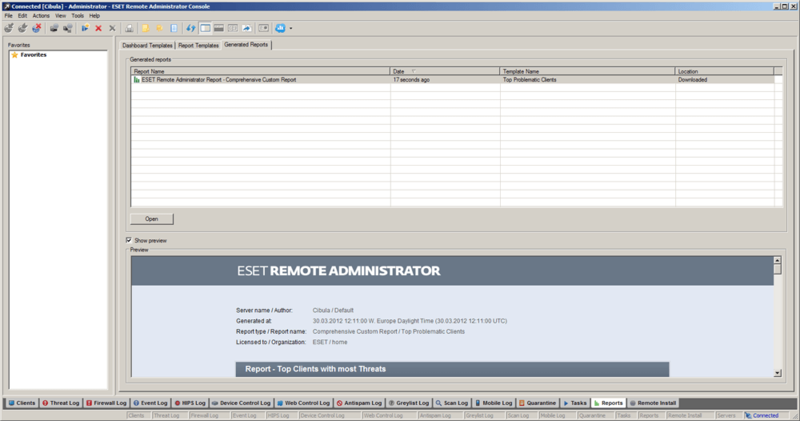 Lets you access the server component of ESET Remote Administrator from any other remote monitoring and management tool (RMM) without the need to use the ESET Remote Administrator Console. 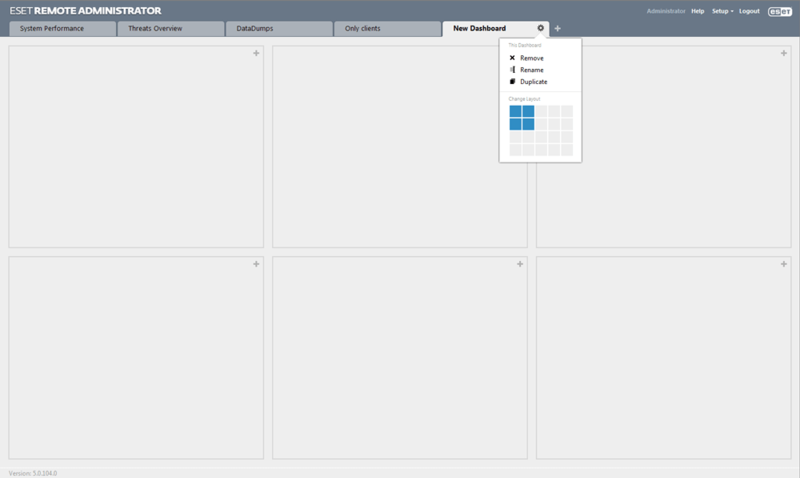 Enables you to create static and dynamic clients groups and using different parameters for populating the groups. Performs remote installation of ESET software to multiple endpoints at once, including Linux and macOS. Ensures complete oversight of the company network and lets you check the security status from anywhere. Forwards logs in real-time to syslog for further processing and analysis. Allows you to specify log and report parameters or choose from more than 50 templates available for different system/client events. Gives you the option to set threshold for event notifications. Lets you save logs in common formats - CSV, plain text, Windows event log - readable by SIEM tools. Stores logs on endpoint side for later harvesting. 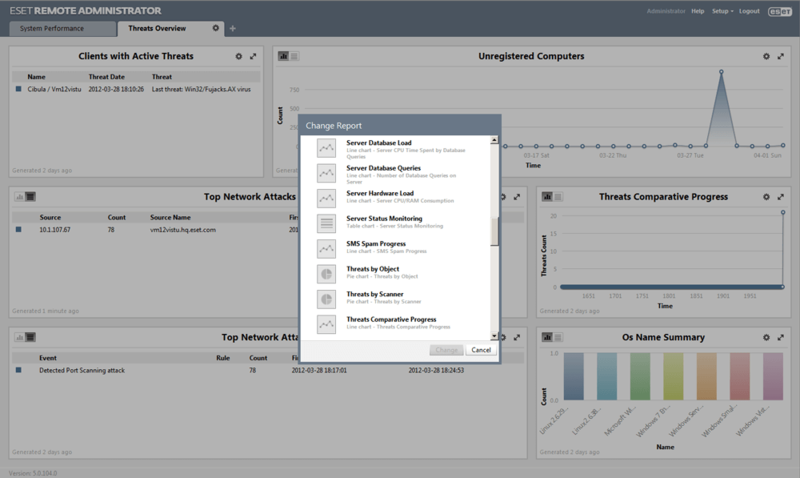 Integrates with the RSA enVision SIEM tool via a plug-in. 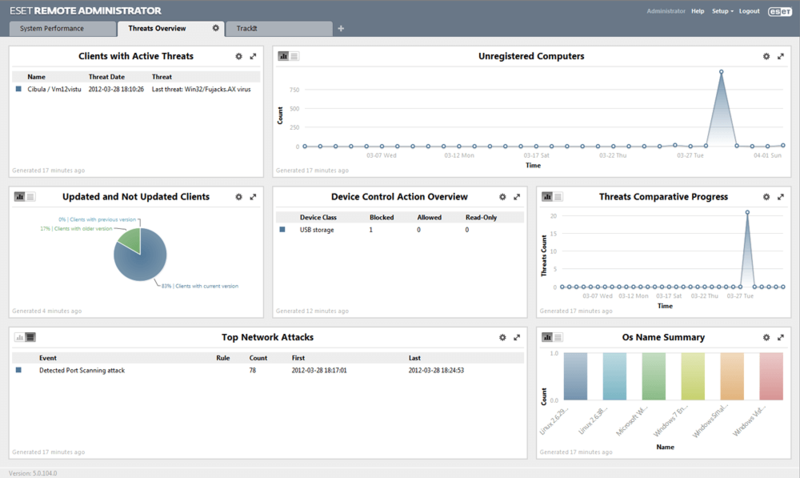 Device Control Reports deliver comprehensive logs and reports for all device-related events. Performs in-depth analysis of endpoint systems to identify possible security risks. Provides an option to download from 3 specialized update servers: pre-release (beta users), regular release (regular users) and postponed release (approx. 12 hours after regular release). Enables you to set random time periods for executing scheduled security tasks. Provides an optimized and streamlined database access to endpoint security-related data. Allows you to set database storage attributes such as time period and threshold values for entries to be kept in database. Saves company bandwidth by downloading updates only once to a local mirror server. Deploys server side System Health Validator (SHV) plug-in and client side System Health Agent (SHA).